Pop-up stores may be temporary, but shoppers’ memory of WiFi quality is forever. Indeed, your pop-up shop only exists for a few days and it’s essential to make the most of every minute that it’s open. Unfortunately, producers often find it difficult to find secure, affordable and reliable temporary Internet for pop-Up stores. Many traditional Internet providers just don’t care enough to service small locations, where a minimum number of access points or Internet connection is required. Others cut corners and use cheap equipment to make a quick buck. craft unique wireless Internet solutions that deliver flawless connectivity, meet service level guarantees and fit every pop-up store’s individual budget and needs. Temporary Wireless Internet for Pop-Up Stores. Lasting Connection. Quick Setup – Time is money, especially for a pop-up shop. We can have your Internet and WiFi connection live in just a few hours. Introduce us to your landlord or property manager and we can even set-up the temporary Internet network before your rental starts. High-End Equipment – We only use Ruckus Wireless 802.11ac access points. These are the most reliable access points on the market and retail for over $600 each. A single access point can cover a very large area. Perfect for pop-up WiFi deployments, Ruckus Wireless 802.11ac access points are able to support hundreds of simultaneous devices. Wired Connections – Need wired connections for your POS devices, Sonos speakers or surveillance cameras? Not a problem. You can choose from unlimited cable colors to match your venue’s aesthetic and our professional installation team will cable your venue as if it’s a permanent deployment—this means no loose, visible, unsightly cables (unless that’s the look you’re going for). Unlimited Support – Our technicians are available ‘round the clock to answer any questions that you may have. Perhaps there are some critical points during your event where you need to make sure there are no WiFi and Internet issues. We can deploy an on-site technician to be there and make sure everything goes smoothly. Dedicated Bandwidth – When you absolutely need to make sure that your Internet connection works perfectly. This is often the most expensive option but the value is worth every dollar. This type of connection is ideal for live streaming, payment processing and other pop-up shop technology deliverables that you deem mission critical. Best Effort Bandwidth – This type of Internet connection delivers very high speeds at very low costs and can typically be purchased with minimal notice, sometimes less than a week before the doors open. Speeds and connectivity is not guaranteed, like it is with dedicated bandwidth, but this option is still very reliable. Best effort bandwidth is our go-to option for pop-up shops, as the quality of service and price points are usually just the right fit. Cellular Bandwidth – A simple setup can have you online in just a matter of minutes. This isn’t a MiFi device, it’s a full-fledged multi-sim card modem coupled with several Ruckus access points. Together, these powerful tools deliver Internet speeds of over 50mbps and support hundreds of devices on the wireless network. Our 4G Internet kit and WiFi hotspot rentals are perfect for pop-up shops in need of same day service! We’re not just experts at temporary pop-up shop Internet and WiFi. Need a temporary A/V solution to go with your Internet? No problem. Ask us our about wireless Sonos speakers and wireless security camera rentals. 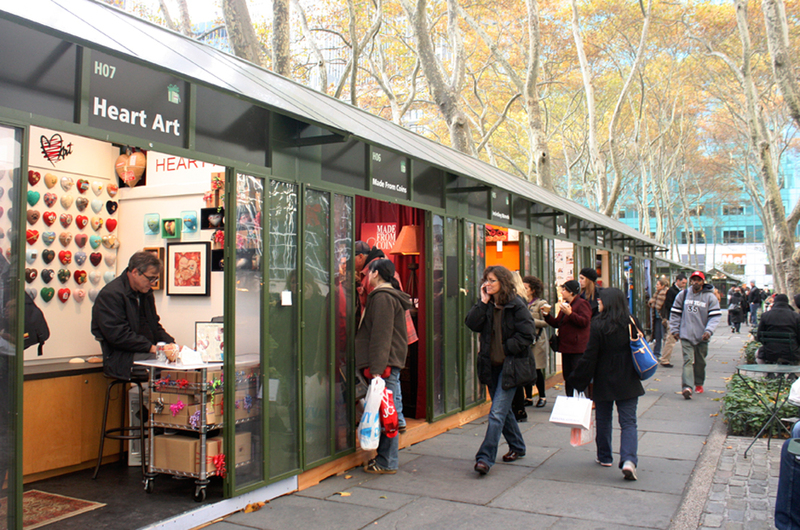 Pop-up stores are becoming more popular, living-up to their name by popping-up on seemingly every New York City block. With the growing number of available vacant stores and the seasonal demand from consumers, it’s safe to say that pop-up shops are here to stay. Made By WiFi is the go-to provider for temporary NYC event WiFi and Internet. We have the team and the tools to help you develop a solution for your next pop-up store event. Call or email us to learn more.